With careers no longer set and forget but cycles of change and adaptation, the ability to transition from one job to the next is now integral to living a fulfilling life. 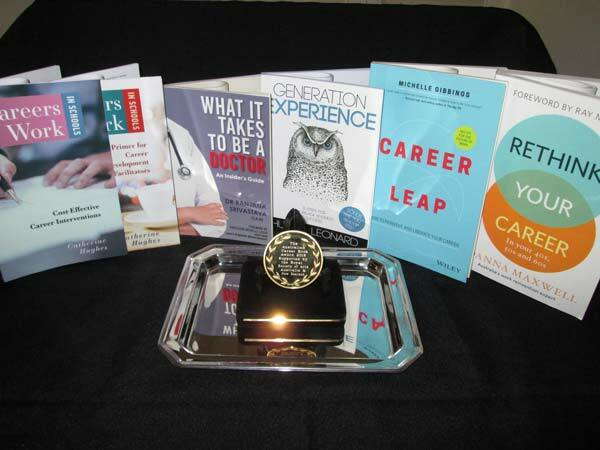 Career Leap by Michelle Gibbings is a handbook for navigating these moves and in so doing, managing our careers overall. This clearly structured book takes us through Gibbing’s Ten Step Career Reinvention Cycle with each step a chapter. These ten steps involve activities such as finding your purpose, identifying strengths and skills, exploring what’s holding you back, making wise decisions and being realistic. Exploring how others see you and practical strategies for transitioning (for example there is excellent advice on “managing your exit”) are also addressed. Each chapter contains Gibbing’s insights, references to research and direction to other resources, written activities, interviews with identities who have made significant leaps, and each is neatly summarised at the end. If learning is in the doing then book’s strength lies in its eighteen self-diagnostic exercises; readers are invited to complete activities such as assessing their current career health (they can also access this on-line at Gibbing’s website), checking if they have a growth mindset and planning their career development needs. While some activities are simple checklists others are more open ended such as the somewhat demanding task of writing and reviewing the story of your life past, present and future. Readers would do well to ensure that they complete the activities to get the most out of the book. Gibbings regularly and rightly encourages readers to work with a coach or good friend to help process their thoughts. Used as the basis for a one-on-one coaching program Career Leap would offer an even greater powerhouse of insight, skill development and wise guidance. Motivation is provided by the book’s nineteen interviews with successful career leapers like former premier Steve Bracks, surfer Layne Beachley and young solo sailor Jessica Watson. Interviewees generously share their setbacks and secrets to inspire and give hope. They add a chorus of experienced voices and provide another easy access point to the text. With its clear layout, upbeat tone and direct questioning the book is immediately accessible and quickly engages readers. Catchy headings such as “Do you want a Side with your Main?” and “You are not Usain Bolt – sorry!” help guide readers into easily digestible and thought provoking chunks of text. Working through the book is what I imagine what it would be like to be in one of Michelle’s workshops – engaging, challenging, active, useful and fun. 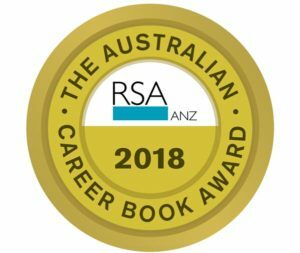 For all of us who’ve been at times daunted by our dreams or paralysed by fear and indecision Career Leap provides us with the direction, courage, and practical skills to strike out into the abyss, have a go (wisely) and to successfully navigate the multiple career transitions that we workers in the 21st century will inevitably face. Readers, whatever age or stage would do well to have Career Leap as a foundation book in their careers library – and to use it early and often. School uniforms are not one-size-fits-all … and neither are schools, their budgets, their teachers, or their cultures. These two books by Dr Catherine Hughes are best viewed as part of a set targeting career development facilitators in secondary schools to help them define, implement, and evaluate career development initiatives, activities and programs suitable for students, and practicable for each educational setting. They provide the conceptual, technical and practical tools to make a decision on which type of career program to establish, and how to assess the readiness of the student cohort to use it. The ‘primer’ reviews the major career development theories, and then encourages career development facilitators to decide on the types of interventions that will get a result at different student developmental stages, and use the funds, spaces, and resources the school can allocate. The ‘interventions’ is the how-to manual to deliver a differentiated career service to different cohorts in a school, and to make the tough individual case-management decisions. With teacher assistance, The Career Adapt-Abilities Scale and Learning Plans promote student self-assessment on career readiness, and an introduction to step-by-step planning for young people. These books are essential resources for schools to tailor career programs to the developmental stages of their students. The technical difficulties of program analysis and evaluation are confronted so the readers know what they have to do make the prioritization decisions to operate effectively within the budget and culture of each school. These deceptively slim volumes will help a career program put on weight with assessment information and understanding of what is possible within the allocated resources – and make a difference to students. An excited traveller once said: ‘That’s one small step for a man; one giant leap for mankind’. Good oratory, but a little late to reverse that decision! Hunter Leonard’s Generation experience starts with ‘STEP 0 ARE YOU BUSINESS READY?’ This starts the reader asking the right questions before significant resources have been invested, and major risk incurred. It’s only then that readers move on with STEP 1 STRATEGY AND LEADERSHIP and then to the other steps in the book. The community need for structured advice for the target group of ‘over 40 and thinking about starting a business’ is high, and the need to focus on the legal and practical aspects of running a business rather than engaging in a hobby is essential. Several years ago when I was formulating our annual business plan, I wrote a couple of paragraphs describing what the business looked like when I closed my eyes. I described not only the revenue numbers, but also the office surrounds, what the staff were doing (active and productive), what sounds there were (phones ringing, happy banter) … A year later I was reading this business plan again when I suddenly realized that everything in my statement was actually occurring. The success test for different readers will be different, but by following good practical advice in the book they will be successful from the first small step. Before readers take that small step that becomes a giant leap, they should start with Generation experience – STEP 0. What it Takes to be a Doctor should be compulsory reading for anyone considering studying to be a doctor, who has doubts about whether to continue or which area to practice. Dr Srivastavaha draws on her personal experience and that of working with many students to provide practical advice and guidance. While never wavering from her view that being a doctor can be rewarding and fulfilling, she addresses such matters as the stress, sadness and concern for doctors’ welfare. She also addresses the limits on money earnt and whether doctors are able to change the world. The value of this small and very readable book is that it draws together a number of aspects of being a doctor and openly discusses the various issues.